BOB: STILL IN LOVE WITH YOU was written by GARTH PORTER (inducted in the year 2000) and Tony Mitchell. At the beginning of the seventies, I was fortunate to see their band Sherbet win the ‘Hoadley’s Battle of the Sounds’. By the mid-seventies, while working for Festival Records, I would meet the band and also experience them in concert at the peak of their popularity (I’ll never forget the sound of the Hordern Pavilion packed with screaming girls!). In the nineties, Garth would become the uber-producer on the Australian Country Music scene. DONNA: I saw Sherbet as a young girl when my Dad Gene Bradley Fisk and his band were on the same bill and Dad compered the show. I remember trying to listen to the music while the other girls were content to scream. Years later, I would work with Garth when he was producing James Blundell’s debut album and I was asked to duet on one of the tracks. For this new project, produced by Bob Howe, I chose ‘Still In Love With You’ to respectfully represent Garth and also pay tribute to Daryl Braithwaite who I regard as having one of the finest and most unique voices in the world. BOB: I first met DONNA FISK in 1980 just before we became part of the ‘Johnny Chester & Hotspur Roadshow’. Later I led Donna’s own band, ‘Hot Diggity’ and by the mid-eighties, we had toured every state of Australia and cemented (no Hands-of-Fame pun intended) a friendship that has endured more than three decades. 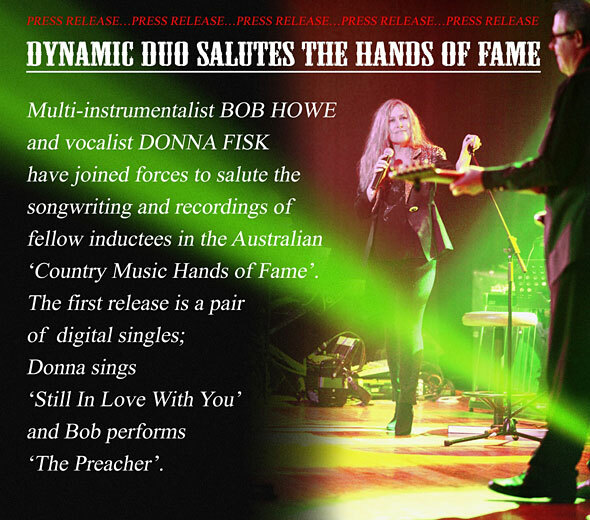 I’ve always regarded Donna as one of Australia’s finest singers and was delighted that she agreed to join me in this project. She has won countless Victorian and National awards and was herself inducted into the Australian Country Music Hands of Fame in 1989. 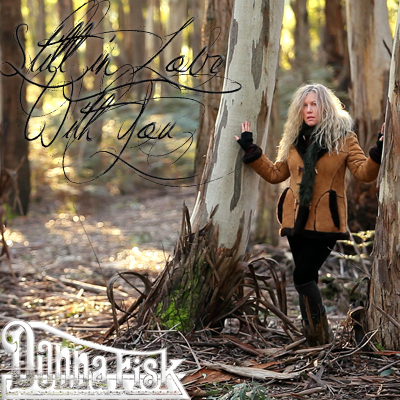 Though we’ve given Still In Love With You a country twist while still retaining the essence of the song (including the memorable bass line), Donna brings a new vitality to the lyric and melody. 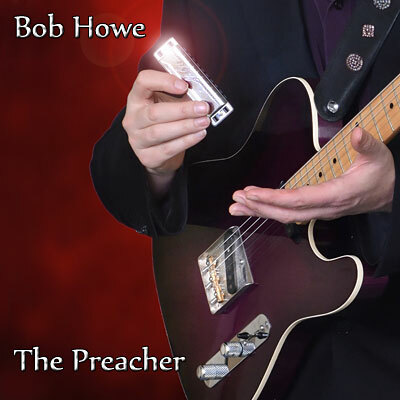 BOB: The inspiration for this new version of THE PREACHER comes from a recording by legendary Australian guitarist DAVE BRIDGE (inducted in 1993). A founding member of the Joy Boys, Dave also had a string of solo instrumental hits. He recorded The Preacher on the B-side of his 1963 single The Swan and it features a distinctive bass part and minimalist approach. I’ve combined that with the influence of the original version by the Horace Silver Quintet and a dash of Western Swing. DONNA: Working with a gifted professional like Bob has always been just natural; cups of sweet tea and biscuits on the ‘easy road less travelled’! A true country gentleman. He played on many of my early recordings, a professional showing ultimate respect to his fellow music artists in his many roles as musical director, producer and entertainer. I truly cherish this fun time making music together again. No-one was more delighted than me when he was inducted into the Australian Country Music Hands of Fame this year (2014). On The Preacher, Bob shows his multi-instrumental skills by playing (in order) bass, brushes, acoustic guitar, mandolin, harmonica and electric guitar!